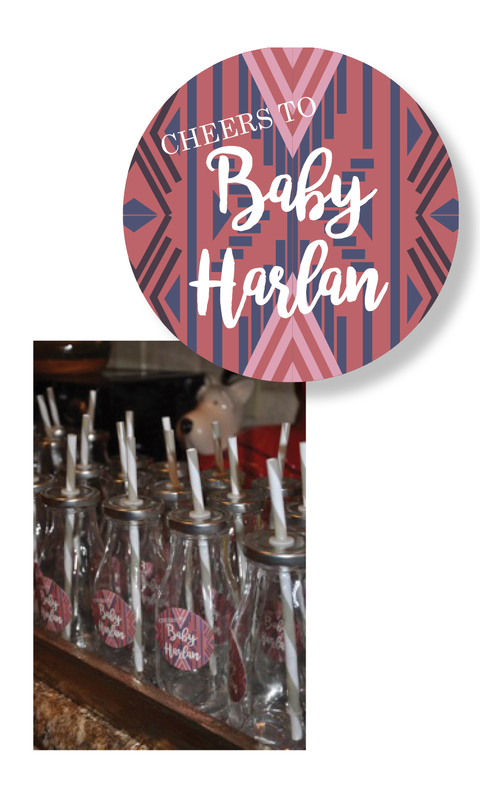 When one of your favorite gal pals calls you up and tells you she's hostessing a boho chic baby shower, complete with tee pees and dream catchers, you should jump at the chance to design the paper goodies! This baby shower honored a sweet couple who welcomed their first baby, a little girl, in style! We designed the save the date, invitation, napkin, milk bottle labels and favor tags. 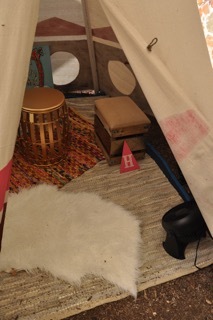 The hostesses erected a real life tee pee in the backyard and displayed mini cupcakes and other sweet bites on large slabs of wood. So adorable!